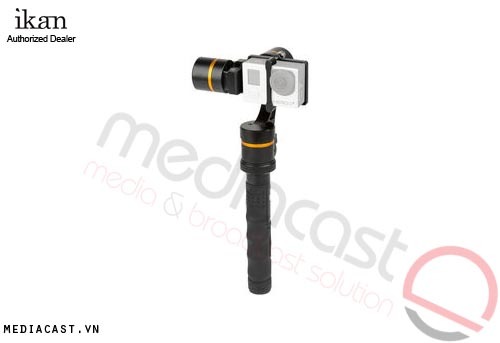 iKan Gimbal DS-1 Beholder là thiết bị ổn định máy quay chuyên dụng sử dụng motor 3 chiều cân bằng điện tử, lắp đặt đơn giản, dùng cho máy ảnh DSLRs, tải trọng lên đến 1.85kg. Lightweight for its size yet designed to support DSLR cameras, the Ikan DS1 Beholder Gimbal for Select DSLR and Mirrorless Cameras is a 3-axis gyro stabilizer with brushless motors. It supports cameras such as Sony A7, GH4, G7 Series, Canon 5D, 6D, 7D, GX7, NEX Series, DMC Series, and Nikon D810, D800 cameras. 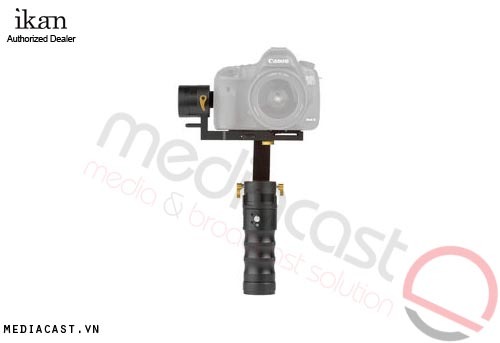 It features a quick release baseplate that makes it simple and easy to swap out the camera. Additionally, the baseplate can be adjusted, without tools, for precise balance. This can be especially useful when changing lenses. The DS1 features four selectable stabilizing modes: follow, lock, inverted, and briefcase. Beyond just stabilizing, the DS1 allows you to adjust pan and tilt via a small joystick incorporated into the handgrip. It incorporates a USB port, which you can use to power a smal LED light, or charge your smartphone. The handle houses the three 2600mAh batteries, which can typically power the DS1 for approximately 2 to 3 hours. For smooth camera moves with most mirrorless and DSLR cameras. 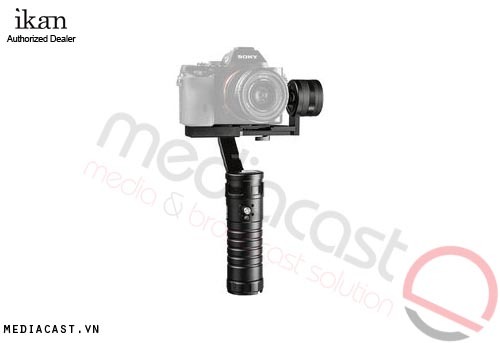 Equipped with 3-axis gyro-stabilized brushless motors to stabilize most mirrorless and DSLR cameras up to 3.7 pounds. The quick release plate acts as a sliding balance plate and allows you to quickly adjust the rig when you change lenses on the camera. Each axis features two adjustment locking levers that allow you to pre-adjust the position or balance your camera on the gimbal before turning it on. 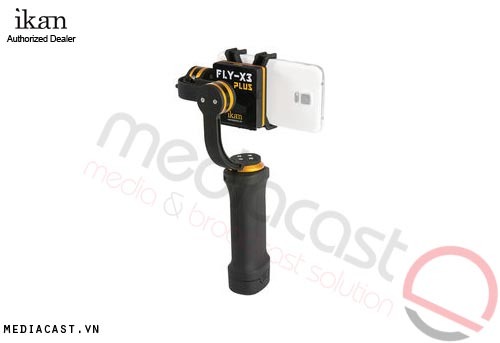 Follow Mode stabilizes the camera and allows it to follow your movements as you pan and tilt. Lock Mode stabilizes the camera and holds in position even if you pan, tilt, or try to dutch-angle (off level the camera), until you reach the physical limit of the motor. You can hold and use the DS1 in normal, inverted, or briefcase mode. This allow you to get a wide variety of shots in a many different situations using one stabilizer. Illuminated on/off switch and battery indicator. Box Dimensions (LxWxH) 14.5 x 7.9 x 4.0"